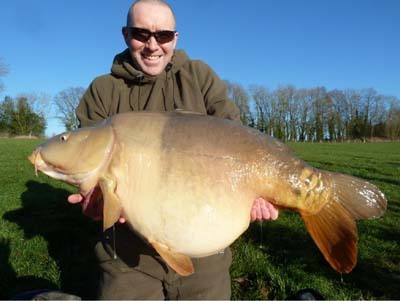 The big news from the English catch scene has been the capture of a 60lb 4oz mirror from The Avenue in Shropshire. 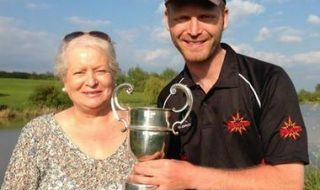 With strong winds on the cards, Stephen Johnson targeted a sheltered area of the 10 acre venue, baiting up with live and dead maggots just short of a gravel bar a 55 yards. He fished bunches of hair rigged maggots on size 6 Fox Arma Point hooks. He hooked the big mirror, known as ‘Jona’, on the second morning of the session having already banked carp of 26lb 9oz and 21lb 8oz. 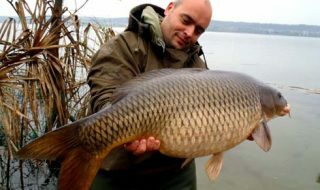 Many within the carp scene are tipping Jona to beat the current British carp record, which stands at 67lb 14oz.